Like Wine But You Are Intimidated? Do You Want a Fun and Enjoyable Wine Education? Understanding the basics of wine types, selections, storage and tasting is often a mystery to most of us. This interesting and easy to understand class is designed to answer basic questions and add new dimensions to your wine experience. You’ll gain an appreciation of wine that will help you judge color, aroma, flavor, and body. The class will help you understand the meaning of wine concepts such as dryness, acidity, fruitiness, tannins, varietals, vintages. 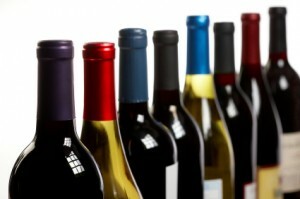 You’ll get valuable tips on how to buy and store wine, and how to demystify a restaurant wine list. This is the perfect introductory class for beginners and novices who want to learn the basics. American Bartenders School has been training bartenders for over 43 years and wine is an important part of the training. This experience has helped us develop a simple and informative class covering these topics.